Just one question: Why isn’t our Military equipping their support gunners with these mini machine guns on a strap, with a backpack full of ammo? Would be great for definite combat scenarios. From the looks of it, it just seems like a spray and pray thing. Can’t really aim it well compared to a LMG, I would imagine. Could you imagine bringing this up to your shoulder? And it looks like the “backpack” of ammo in this case… is a cart. With the high ROF this thing has, you’d probably run out really quick with whatever you could carry on your back. Still, it IS pretty cool. Definitely reminds me of Predator. Gotta go with History Buff on this one, there’s a reason almost all country’s have followed our lead and gone from carrying .308 to a .223. Lighter ammo to carry and lighter weapon. This guy would be mortally fatigued as soon as they rolled him off the back of the Humvee. Because it’s utterly impractical. The weapon is too heavy, requires two sources to feed it (ammunition and electricity), inaccurate, and even if it was possible to field, the amount of ammo necessary to make it viable would be impractical…why unleash a burst of 20+ rounds inaccurately at a target when a trained gunner behind a 249 can let out two or three quick 5 round bursts for the same effect? And besides, with the high cyclic rate of a minigun, it would waste so much ammo. The US military did, although it wasn’t a mini-gun. During the Vietnam war SOG had equipped men with a 1000 round backpack, which had an aircraft aluminum feed tray linked to an M60. According to the book I read regarding that, you literally had to be a lumberjack to carry the thing. Roughly 75 pounds in weight. If you don’t believe me, I’ll send you the scanned documents detailing such. well I think ENDO already posted something similar to your suggestion. Vegeta! What does the scanner say about its win level? 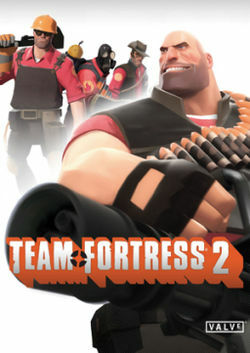 Mike, TF2 /is/ a riot. It’s also free. Why haven’t you tried it yet? I don’t have a game system and the 2 PCs I have I only use for ENDO stuff. I have a long running fear that computer games will slow my computer to a halt. That used to happen, i’m not sure if it still does, but I can’t see that installers have got any better. They probably still install extra crap and throw random files everywhere. Steam is not known for its elegance but it shouldnt be too rough, and if it is you can always uninstall it again. Your computer only slows down when you are playing it. It takes up quite a few resources while it’s running, but simply having it installed does very little in terms of slowing down your computer. If you don’t have it running and your computer is slow, Ctrl+Alt+Delete, go to Processes and end steam.exe. Why the military doesn’t use this setup? Because blanks do very little damage to the enemy.